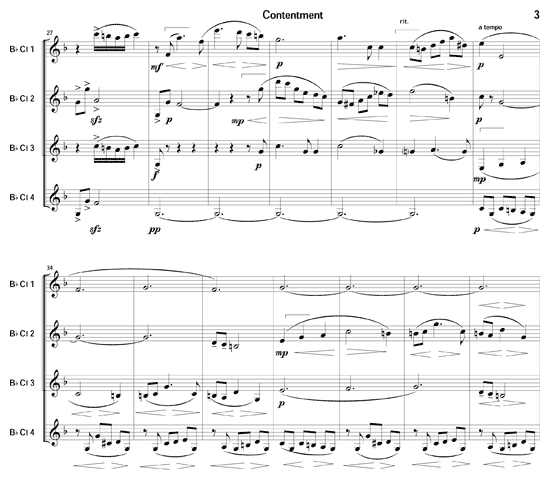 Zdeněk Fibich, a contemporary of Dvořák and Smetana, composed beautiful music that is rarely heard today. 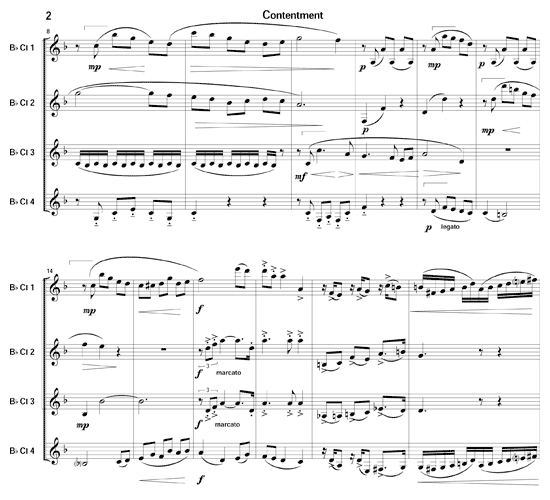 This clarinet quartet is based on his opus 42, a quintet for piano, violin, ‘cello, clarinet and horn. 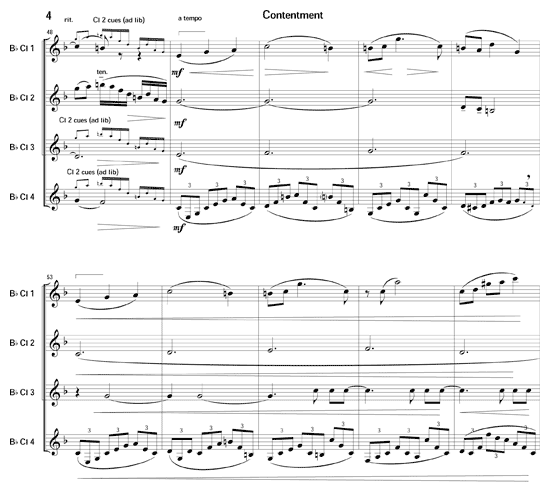 Like the original quintet, this quartet features each player in turn as the principal voice using the various clarinet registers to emulate the contrasting sounds of his original instrumentation: chalumeau (clarinet 4) for ‘cello; throat tones (clarinet 3) for horn; clarion (clarinet 2) for clarinet; and altissimo (clarinet 1 for violin).